Psoriatic Arthritis is a type of arthritis that occurs in a person with skin or nail psoriasis. 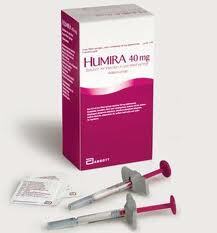 The disorder resembles rheumatoid arthritis, that does not form the antibodies, occurring in rheumatoid arthritis. Psoriasis (skin conditions, resulting in flar-ups of scaly, red rashes, and pitted, thickened nails) can follow or precede the inflammation of joints. The arthritis generally affects toes and finger joints, as well as other joints including spine and hips. 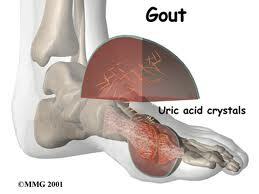 The joints can become deformed and swollen in chronic inflammation. The joint and skin symptoms may disappear or spear together. The diagnosis of psoriatic arthritis is confirmed by determining the characteristic arthritis in a patient with psoriasis or family members history of psoriasis. Psoriatic arthritis prognosis is generally better than for rheumatoid arthritis because lesser number of joints are damaged, but the joints may be severely affected. 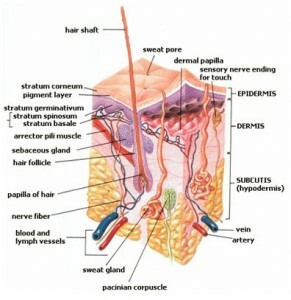 Treatment of psoriatic arthritis consists of controlling the skin rash and relieving the joint inflammation. Few medications including sulfasalazine, gold compounds, cyclosporine, and methotrexate are used for treatment of psoriatic arthritis. Another medication called Etretinate is effective in severe psoriatic arthritis, but this drug may cause serious side effects including birth defects and must not be used by pregnant women. Etretinate remains in the person’s body for a long period of time, so females are advised to not become pregnant while using this drug or for atleast one year after stopping. The combinations of PUVA (undergoing ultraviolet light) and taking Methoxsalen by mouth treatment alleviates the symptoms of skin and most inflammations of the joints, but not spine inflammation.